Buddha Heruka is a manifestation of enlightened compassion. By training in the generation and completion stages of Heruka Tantra, and in particular by training in the uncommon body mandala practice taught in this book, we can swiftly attain a sublime realization of profound inner peace and great bliss that we naturally impart to others. 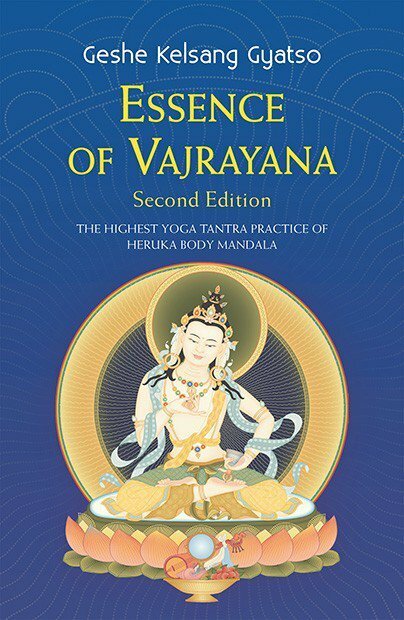 This book is a comprehensive manual for the Heruka practitioner, containing a clear explanation of both the generation and completion stages, along with all the sadhanas and other ritual instructions necessary to engage in the practice. To encourage ourself to train in the stages of the path to enlightenment, we should continually recall the three special characteristics of our human life: its freedom and endowment, its rarity, and its great meaning. Due to the limitations of their body and mind, those who have taken rebirth as animals, for example, have no opportunity to understand or practise the path to liberation. Only humans are free from such hindrances and have all the necessary conditions, known as ‘endowments’, to engage in spiritual paths, which alone lead to everlasting happiness. This freedom and endowment is the first special characteristic that makes our human life so precious. The second special characteristic of our human life is its rarity. Although there are many humans in this world, each one of us has only one life. One person may own many cars and houses, but even the richest person in the world cannot possess more than one life, and, when that is drawing to an end, he or she cannot buy, borrow, or manufacture another. When we lose this life, it will be very difficult to find another similarly qualified life in the future. Our human life is therefore very rare. The third special characteristic of our human life is its great meaning. If we use our human life to accomplish spiritual realizations, our life is immensely meaningful. By using it in this way, we actualize our full potential and progress from the state of an ordinary, deluded being to that of a fully enlightened being, the highest of all beings; and when we have done this we shall have the power to benefit all living beings without exception. Thus, by using our human life for spiritual development we can solve all our human problems and fulfil all our own and others’ wishes. What could be more meaningful than this? I will not waste my human life because it is so precious, so rare, and so meaningful. Instead, I will use it in the most beneficial way. We hold this determination as our object of meditation without forgetting it, and meditate on it single-pointedly for as long as possible. Having developed this deep desire to make our life meaningful, we then ask ourself, ‘What is the essential meaning of a human life?’ Finding good external conditions cannot be its essential meaning, for even animals can do this. Many animals are very skilled at finding food, protecting their families, destroying their enemies, and so forth; these abilities are not exclusively human. However, it is only humans who have the opportunity to attain enlightenment for the benefit of all living beings. This is the real meaning of our human life. With this understanding, we can extract the full meaning of our human life by receiving the empowerment and commentary to Heruka body mandala and then putting the instructions into practice. 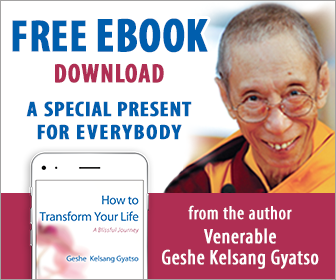 In general, Vajrayana is the actual quick path to enlightenment, but whether or not we attain enlightenment quickly through Vajrayana practice depends upon our faith, motivation, and understanding. In particular, gaining the realizations of Heruka body mandala – the very essence of Vajrayana – depends upon our having strong faith in the instructions and a clear understanding of their meaning. Then, with a pure motivation, free from selfish intention, we should practise these instructions sincerely and continually until we attain our final goal.